On his way to the upcoming Aussie Millions, Gus Hansen stopped off in Macau to play cash poker in Macau’s Big Game, finishing his third 24-hour marathon session with a huge profit of $3.8 million. 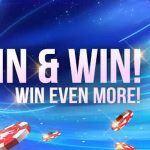 The famed Big Game at StarWorld Macau’s Poker King Club has been running for a few weeks and features blinds of $1,300/$2,600 in U.S. dollars. 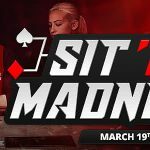 In addition to wealthy Asian businessmen, other players recently found seated at the Big Game table include top pros such as Phil Ivey, Sam Trickett, John Juanda and Andrew Robl. Hansen wrote about the Macau action in his blog and was surprised when his fellow players continued playing hour after hour, seemingly never needing to rest or take a break. The 37-year-old Hansen deserves a good night’s sleep after enjoying such a huge win. The Danish pro won the Aussie Millions Main Event five years ago, outlasting 747 players to take home $1,500,000 in Australian dollars. The former youth tennis star and world class backgammon player wrote a book following his Aussie Millions victory called ‘Every Hand Revealed” that detailed many of the hands played in the 2007 event. Hansen had nothing but praise for the Big Game in Macau, enjoying the ambience of the poker room as well as the attitudes and conduct of his fellow players. 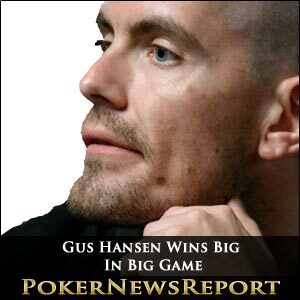 Hansen plans on one more Big Game session before moving on to Australia for the Aussie Millions, which has already begun with preliminary events at the Crown Casino in Melbourne. The Main Event, with a buy-in of $11,400, begins on January 22.